From seed to table, SFC creates opportunities for individuals to make healthy food choices and to participate in a vibrant local food system. Through organic food gardening, relationships with area farmers, interactive cooking classes and nutrition education, children and adults have increased access to locally grown food and are empowered to improve the long-term health of Central Texans and our environment. Grow Local empowers children and adults to grow their own food by offering the education and resources they need to start and sustain gardens at schools, homes, and areas accessible to neighborhood residents. 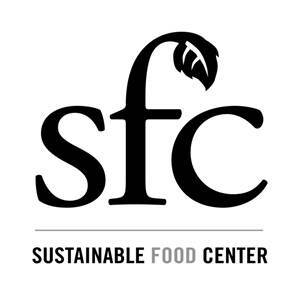 Farm Direct connects local growers with schools, urban residents, and institutional food service operations worksites in demand of fresh produce through weekly SFC Farmers’ Markets and direct marketing projects, such as farm-to-cafeteria, farm-to-school, and farm-to-work. The Happy Kitchen/La Cocina Alegre® is a nationally recognized cooking and nutrition education program that nurtures skills in food selection and preparation. Sprouting Healthy Kids is a nationally recognized project that combines the efforts of SFC’s three flagship programs to increase direct access to nutritious food for school children by empowering students to grow their own food in school gardens, adding local farm produce to school cafeteria menus, and implementing a food system curriculum.